In July 1937, author F. Scott Fitzgerald arrived in Hollywood, California. Fitzgerald was at the tail-end of his writing career and hoped to pick up some extra scratch penning screenplays. He didn't exactly set the town on fire. He wrote a few original scripts and did a re-write on Gone With The Wind, but only got a screen credit on the 1938 drama The Three Comrades. This isn't to say all authors have had failed Hollywood careers. William Faulkner wrote a whole bunch of great movies. This is to say F. Scott Fitzgerald and Hollywood just did not work. Fitzgerald and Hollywood should have worked, just like video games and Hollywood should work, but didn't. While he seemed to effortlessly write dialogue and set up scenes in his successful books, he couldn't do it for the screen. The mediums are different, and Fitzgerald's inability to express himself through film confirms just that. As with books, movies and video games are different. Of course, video games are "interactive" and require "interactivity". Movies, even movies that make you think and sit in your stomach for days, are considered passive. Gears of War designer Cliff Bleszinski put it best: If you stop watching a movie, it keeps playing. But if you stop playing a game, your character is at a stand-still. Even with this inherit differences, the similarities — the computer graphics, the pretty pictures, the money to be made — keep drawing these two art forms together like a moth to the preverbal flame. It hasn't exactly worked out gangbusters. Earlier this week, it was revealed that a game famed filmmaker Steven Spielberg was working on with EA had been canned. Canceling a Steven Spielberg project! He's the biggest movie maker in the world. But this isn't the movie business. Spielberg has created games in the past, such as Medal of Honor and Boom Blox. They're neat and all, but Spielberg's foray into gaming hasn't approached the heights of his film career. If he were only a game designer, you might not know his name. Then again, if he were only a game designer, he wouldn't have to divide his attention between two art forms. But that gaming and movie partnership is becoming more and more common. And so is the inability for it to work out. Fellow filmmaker Peter Jackson was working on a game with Microsoft — a game that also ended up canned. Even when the games of movie makers end up collapsing into themselves, there is failure of the gaming industry to deliver game versions of movies that are up to snuff. And, of course, there is Hollywood's track record with video game movies, which hasn't been very good at all. Maybe the game Guillermo del Toro is making with THQ will be brilliant. Or maybe it'll just be average. Or maybe it'll be bad. All this is beyond the point. Peter Jackson: Halo Game "No Longer Happening"
Here's the point. In a recent interview, BioShock designer Ken Levine chided the game industry for an inferiority complex of sorts and saying gaming is "star-struck" by Hollywood. But gaming has moved beyond Hollywood. That isn't to say video games are better than movies or movies are better or whatever. It's just different. And because there is this difference and because there is a spotty track record, gaming should not feel star-struck by Hollywood. Gaming should get as far away from Hollywood as it possibly can. I say this as a cineaste, run, video games, run! Hey Video Game Industry, You Are Not Hollywood&apos;s Junior Varsity! 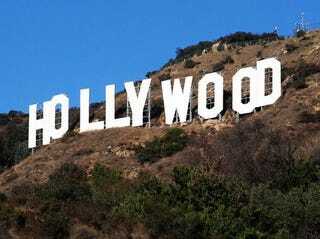 Does the game industry have a Hollywood complex? BioShock designer Ken Levine seems to think so. This, of course, will not happen. Too much of the tech used in making games and in making movies crosses over. And there is too much money to be made. In another world maybe, video games could be satisfied with just being video games. Like F. Scott Fitzgerald and Hollywood, it hasn't exactly worked out. It might be in the best interest of both parties to part ways. Because when Fitzgerald gave up on Hollywood, he wrote a novel about it before he died — nearly finished the book, too. And then Hollywood made a crappy film version of it.